My only regret is that I haven't met too much locals and I definitely want to go back there one day. 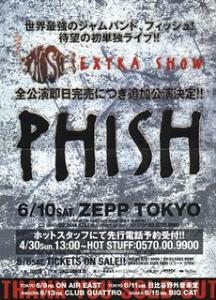 10 years ago, Phish was coming back from a 7 shows tour in Japan. It was the last time they played outside of the American continent. Several trip reports and journals give us a glimpse of what is to see Phish in Japan, and after reading them I guess I'd prefer Phish to announce a tour over there than in Europe. Those articles remind me of the feelings I got in april 2009 when I was wandering the streets of Ikebukuro and Shinjuku by myself. 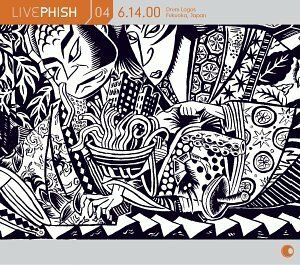 The fifth show of this tour, played on the 14th june 2000 in Fukuoka, is available on CD and download as Live Phish Volume 04.